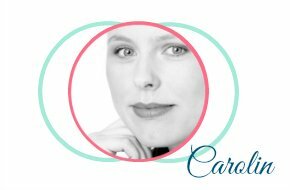 You are here: Home / Blogging / How to Come up With a Beautiful Color Scheme – If You Don’t Know How! Oh, colors! Who does not love them? My favorite color is blue but to me, any color can look beautiful depending on where it appears. When it comes to designing things I always thought that choosing colors would be the easiest thing. But then came blogging! I still struggle with choosing the right colors for my blog. 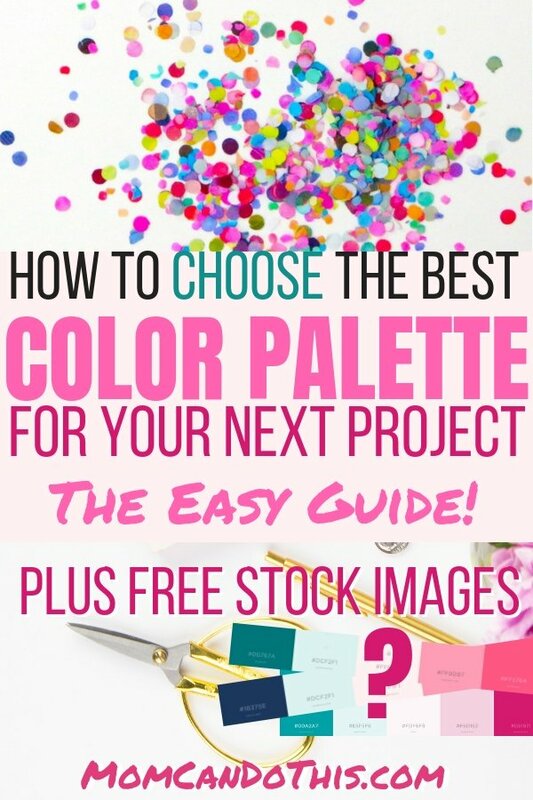 Do you have a difficult time to choose the perfect color scheme for a project, too? Help is here. Let’s check out ways to come up with a beautiful and eye-pleasing color scheme for your next crafting project. Without investing hours of your time! Before you start browsing the web for color schemes take a minute to imagine your future project. Do you want to makeover a room in your home or design a free printable to put up in a girl’s nursery? Do you need to come up with colors you like or your clients? Is using only bold colors appropriate or do you need to include light ones, too? Do not rush through this step. I know you are anxious to get to work. But you will be confronted with myriads of colors and schemes to choose from in the next steps. You will save yourself time and nerves if you know what you are looking for. Do you want to use the colors for your brand? Then you might want to check out the psychology of colors, too, for example in this overview on the eight most important colors in branding and their meaning. 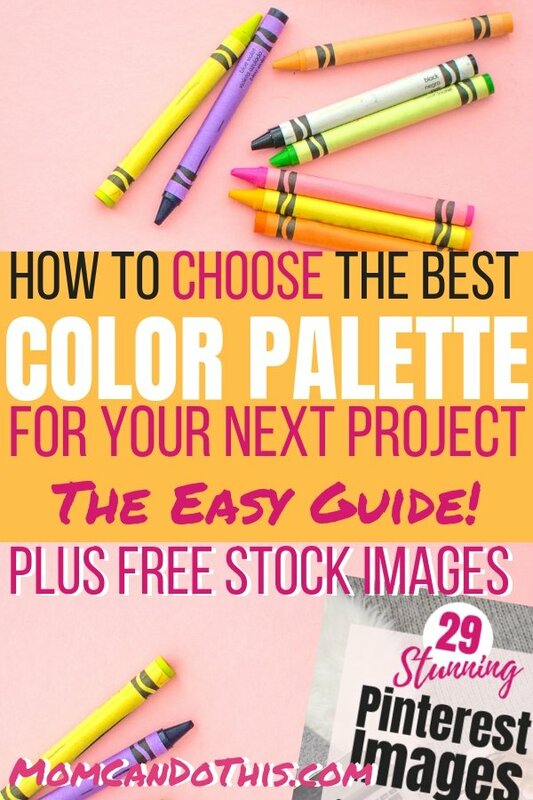 Or you have invested in a few stock photos to use and you want to find a color palette that goes along perfectly. No worries. I’ve got you covered for that, too! If you have nothing to start but a favorite color or one you definitely want or need to include (e.g. your bathroom tiles’ color for a room makeover) get the hex code of that color that you need for digital crafting. If you don’t know what your color’s hex code is you can go through the color section of ColourLovers or pick the hex code from a picture using a service like Color Picker Online. Now you have a color to start with and a code. 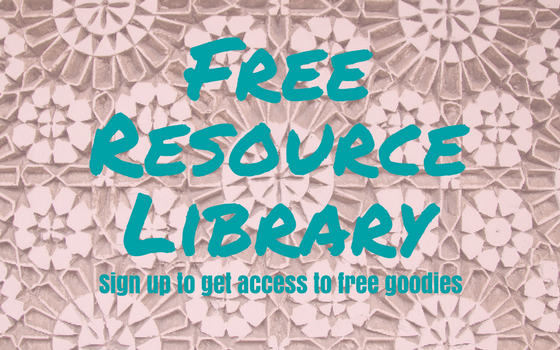 You can check out the shades and tints of your color or find the complementary color to use with it with free online tools. You can easily do this on color-hex.com where you will also find details of your color, the triadic color scheme and ready to use palettes that include that color. You don’t need a hex code to start but you can just give a color’s name, too, or pick a color from the selection. If you want another suggestion in color schemes then go to a service like Paletton.com and enter your hex code into the Base RGB field on the left lower corner. With the five little wheels (see picture) you can choose to get a scheme of your colors shades only, a 3-color (triadic) or 4-color scheme or a 4-color scheme that you can adjust be dragging one color. The scheme will automatically adjust to your movement. You can find done-for-you color palettes, too. There are many resources out there to pick a color palette that is ready to use. For example, go check the Palette section of ColourLovers.com or DesignSeeds.com. If you have a color to start with, you can limit your search to palettes that include that color. You will find schemes that come with hex codes to use. At DesignSeeds you will also find an inspiration image with each palette. This is a bonus for digital crafting because you can see at a glance what color will make a nice background and which one a great accent, etc. I love browsing DesignSeeds! If you are anything like me it might be wise to set a timer. There are just so many cute color schemes to choose from. 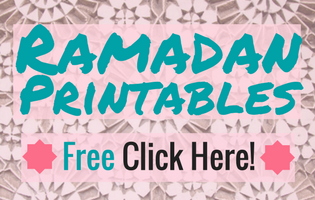 I found the color schemes for the Air Travel with a Toddler Checklist, the Ramadan 30 Days of Gratitude Poster, or the ones for the “The Question” Cards Bundle at DesignSeeds. Sometimes we see a beautiful photograph or image that just resonates. This is great and you can use this image to create a custom color scheme! (Just like people at DesignSeeds.com do it). You can easily make your very own palette with free tools. Maybe you saw an image on a website and fell in love or you got yourself beautiful stock images. 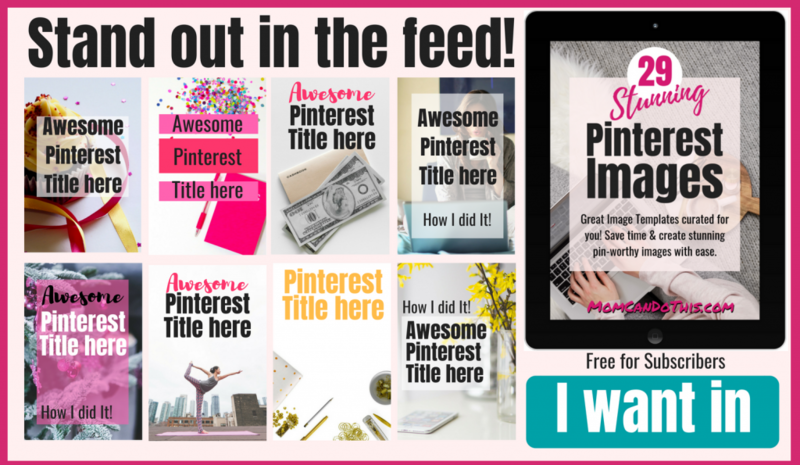 Or you download my free image pack of 29 Stunning Pinterest-ready images for your blog from the insider-only library. All you need is a digital image. If you want to use a picture in a magazine or book, for example, you will need to scan it or make a photograph of it. Then, load it on your computer. Once you have the image link address you can go to Color Picker Online and find out about the hex codes of the image’s colors – manually that is. Unfortunately, it does not always give you the very color you see. At least in my experience, the tool does not work very reliable. Better you have an image on your computer so you can upload it to the free Color Scheme Generators of Canva or Adobe. If you want to use an image you found on another webpage you can download it to your computer and use it to create the color palette. The Canva Color Palette Generator picks a harmonic scheme automatically after you uploaded a picture from your local drive. 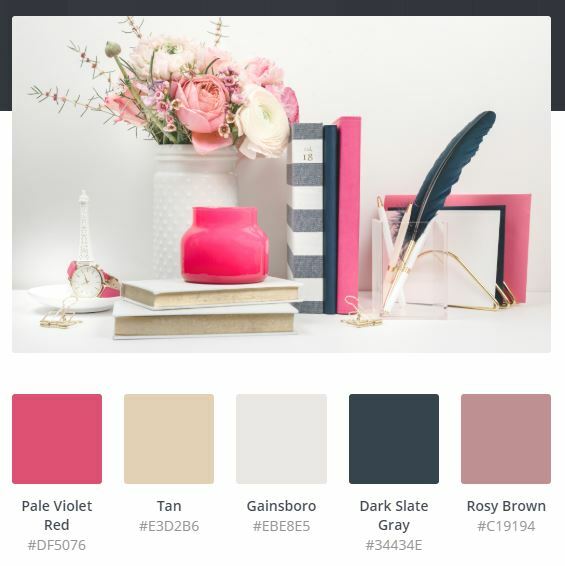 Screenshot of Color Palette Generator by Canva.com. Image credit: Styled Stock Society. 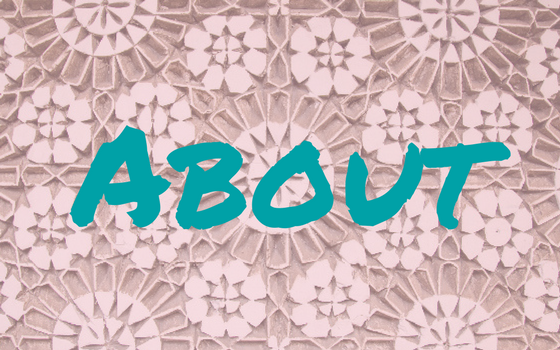 The downside of the Canva Color Scheme Generator is that it picks the colors for you and you have to stick with them. Alternatively, use the automatic feature of Adobe Color to have a color scheme created for you. Click the color wheel button on the upper right side afterward to get the hex codes. The cool thing is that it shows you where it picked up a color (circles) and you can manually drag and drop the circle to another spot! That way you can create exactly the color scheme you want and find more matching colors if 5 colors don’t cut it. If you have an Adobe ID you can save your color scheme right there in Adobe. Screenshot of Color Scheme Creator by Adobe.com. Image credit: Styled Stock Society. If not, use the codes to create a new color palette on ColourLovers.com or Color Hex. If you create an account you can save your palette for later reference. Or you create a new design in Canva using the colors and keep that for a reference. 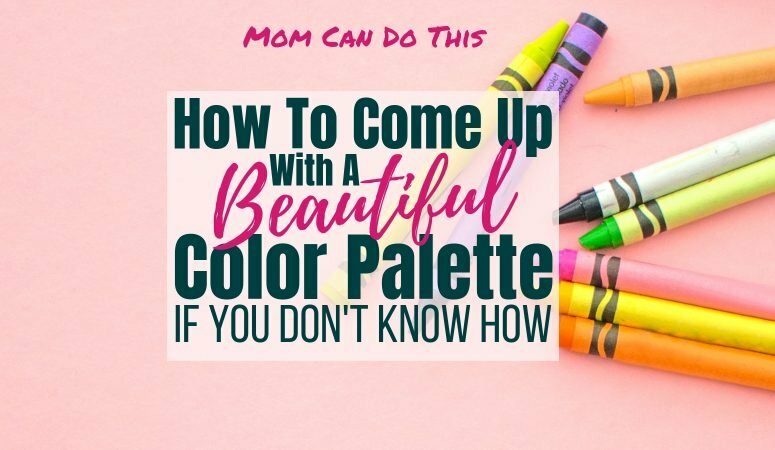 After all that talking I have an assignment for you: Come up with a beautiful custom color palette you can use to make a printable using free resources, as shown in this post. Pin this post for later reference and for others on the lookout for colors! Pin this image for later reference! Share the color love!